Looking for a mod that looks great, but gives the same experience as a regular cigarette? Then the Wismec CB80 is for you. The restricted draw resembles the experience of smoking. Meanwhile, the high nicotine and nicotine salt compatibility means this device is ideal for people who need a higher nicotine hit. The latest version of the Wismec Check Bunny (CB) is designed to look like a high end vape mod, but comes with one key difference. 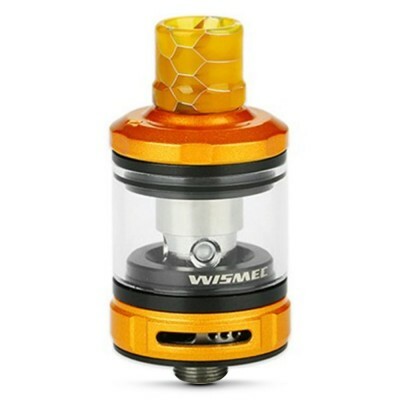 Instead of the large clouds of vapour most mods produce, the Wismec CB80 kit, with its Amor Pro tank, comes with a tighter draw more similar to a cigarette. What’s more, it’s compatible with high nicotine e-liquids, meaning it’s ideal for you if you need a stronger nicotine hit or miss the experience of smoking. It’s also designed for nicotine salts, which allow you to vape higher nicotine levels without a harsh hit on the back of your throat. There are a couple of key difference between the old Wismec CB60 and the upgraded CB80. The CB80 requires external batteries instead of a built in battery. One of the big advantages is that when the battery comes to the end of its natural life, you only need to replace the internal batteries instead of buying a whole new device. 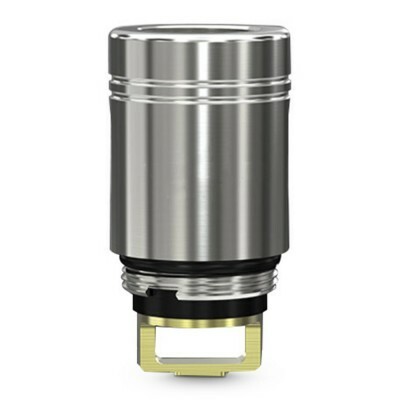 The CB80 also comes with an increased wattage range of up to 80 watts. As it’s compatible with lower resistance coils, that means you’ll still have the option to blow larger clouds of vapour. The CB80 comes with 2A quick charging designed to save you time. While the CB80 comes with an internal charging port, to get the best results we recommend you use an external charger such as the Nitecore Intellicharger. You also get a fast vape - the device fires just 25 milliseconds after hitting the large fire button. The Wismec CB80 kit comes with the Amor Pro tank and is compatible with Wismec Amor coils. 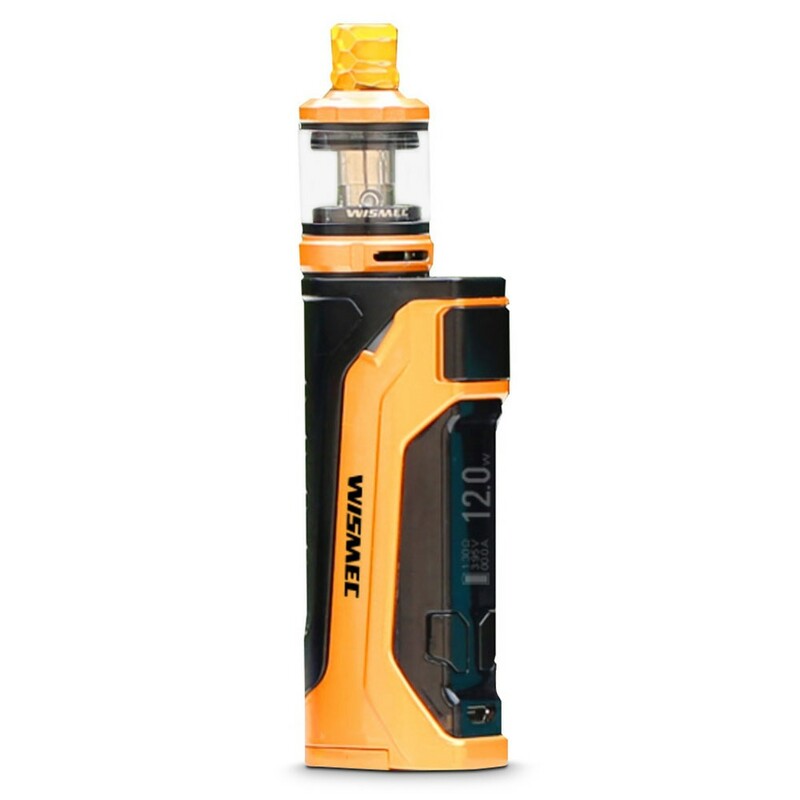 The Wismec is primarily designed for mouth to lung vapers (vapers who prefer a more restricted vape similar to that of smoking and who prioritise flavour over vapour.) 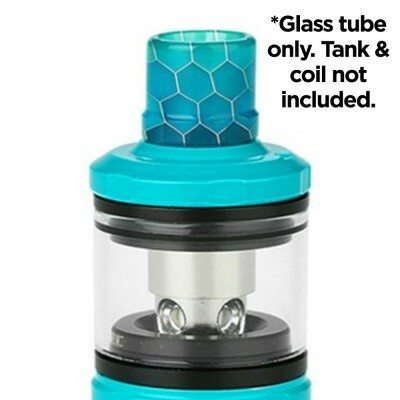 That said, the increased wattage range and lower resistance coils means its perfectly capable of producing clouds and satisfying the needs of most direct-to-lung vapers (vapers who like to inhale directly into their lungs). 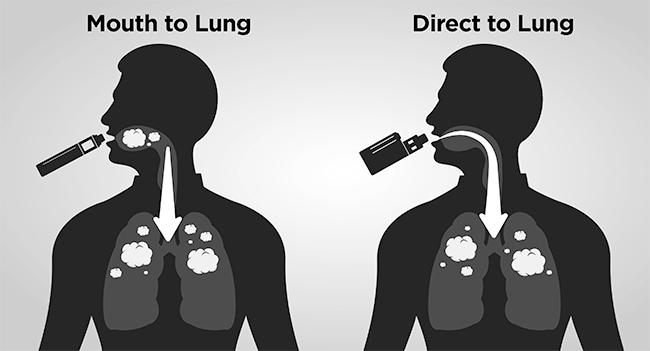 Confused about mouth to lung v. direct to lung vaping? The image below demonstrates the difference. Check out this quick start video provided by Wismec. When using the high resistance coils, be careful not to increase the wattage too high. 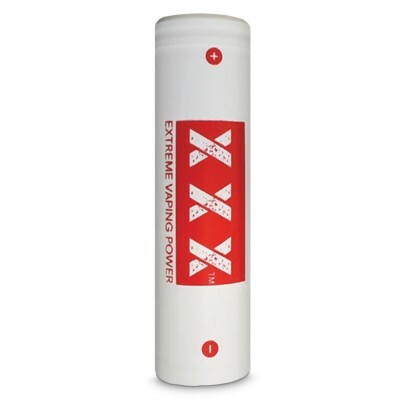 With the higher resistance coils, 10-12 watts should be ideal - too high a wattage could lead to the coil burning out.